A roof can be a longer lasting one, no matter which type you have, whenever you have Campbell Hall roof inspections done as they will help to resolve roofing problems. Preventative maintenance goes a long way. Your roof is one of the most all important aspects of your home and one of the biggest investments that you will ever have to think about as it is the main part of the home where it needs to remain free of things that can prevent it from protecting what’s inside. It’s what keeps you dry during a rainstorm. A roof can also keep you warm on those cold wintery nights as no wind gets through. You shouldn’t neglect your roof because neglect leads to lifelong problems. A tough-wearing roof is going to last a lot longer than one that’s gone without an inspection. A weaker- roof is going to bring you nothing more than defeat; headaches that you really don’t need to be dealing with. A roof inspection should be done by a roofer that is certified to do them. 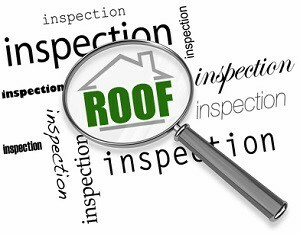 Inspections help take a closer, in-depth look at your roof much like a car inspection does. An inspection for your roof serves as the preventative maintenance that it needs to be stronger and more durable. When you have routine maintenance annually, there is no need for future repairs. If you fear that something bad has happened to your roof, call an expert. A roof with leaks and drafts will cause your interior to become damaged as well as electric bills to soar out of control. You’ll need to hire a professional Campbell Hall roofing contractor to inspect your roof if it is older and not functioning like it once had. A roof with leaks and drafts will cause your interior to become damaged as well as electric bills to soar out of control. Call in local roofers who will do inspections, repairs and maintenance right. You want someone that can thoroughly look at your roof and make a fair and accurate evaluation of it. If you’re concerned about the fate of your roof, call Serrano II Inc where our Campbell Hall roof inspections will help you get your roof back on track. Inspections will save you time and money as they alert you to where problems are. If you are looking for a professional Campbell Hall roofing contractor for a roof inspection, call Serrano II Inc at 845-692-2226 or fill out our online request form.